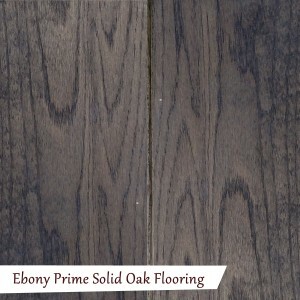 What is Ebony Prime Solid Oak Flooring? 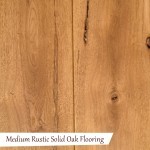 The prime grade oak flooring basically means that the oak contains minimal amounts of knots through out the boards, if the odd knot is visible, it is usually only thumbnail sized. 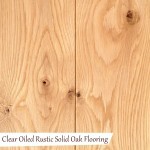 The Oak used to make this flooring is American White Oak, the oak in machined in our UK mills by our company. 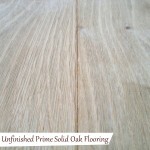 The prime grade oak floors are usually suited to the more modern property as the floor shows a more uniform look. 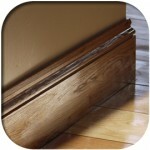 The oak flooring is then pre finished by us in an Ebony Oil. 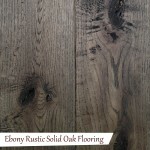 The ebony really darkens the oak and shows the natural beauty of the grain pattern and the oaks characteristics. 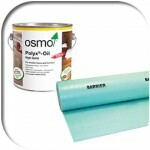 The oil soaks into the timber rather than sitting ontop of the timber giving a real natural look and also prevents the flooring from scratching easily. 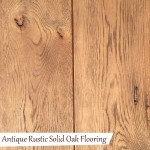 This flooring is a real quality oak floor. 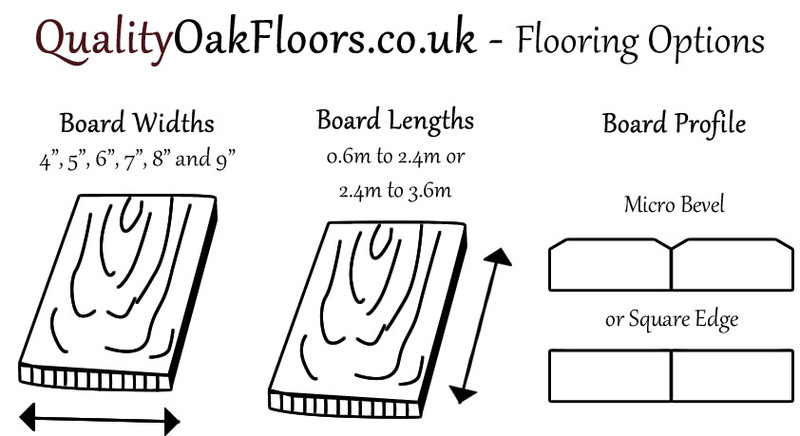 The oak flooring is available in a range of widths for you to choose from, 4″, 5″, 6″, 7″, 8″ & 9″ – the flooring is also available at a standard 20mm thick, if you do require a different thickness then please do let us know and we can help. 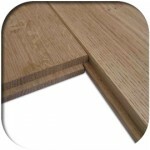 The Lengths supplied are 1.2 – 2.4m random lengths. The board profile is a micro bevel. Be the first to review “Ebony Prime Solid Oak Flooring” Click here to cancel reply.